Welcome! 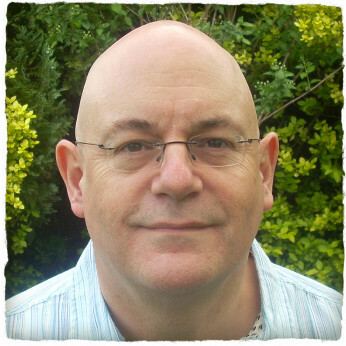 I am a BACP Accredited Counsellor working from Leigh near Tonbridge, within easy reach of Sevenoaks, Edenbridge, Tunbridge Wells, or worldwide via Skype or telephone. 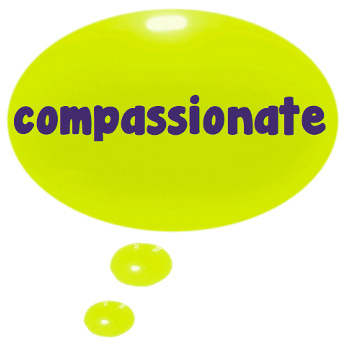 I’m committed to providing a quality counselling service that is professional, compassionate and potent. 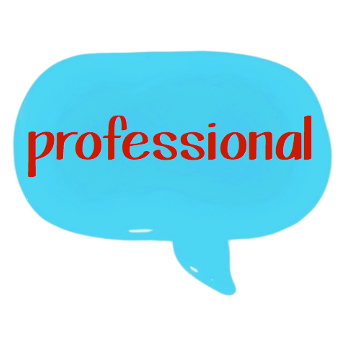 I’ve put together this website to say something more about counselling, about my counselling, about my practice, and a little about me. I invite you to take a few minutes to look around, and please feel free to contact me with any questions or feedback. I offer individual counselling for a wide range of issues and problems for adults. My aim is to offer a safe, supportive and sensitive place in which to explore what’s important to you – how you feel, think, and experience your life. I work in a way that values and respects all of your experience, bringing heightened awareness and perhaps discovering new resources with which to tackle difficulties. The emphasis is on what’s happening for you now, and I may invite you to try experiential work including drawing, clay modelling and dialogue. Out of this kind of counselling can come many jewels, as I am still learning in my own personal work. I have a particular interest in working with what is sometimes called the “inner critic”. This is a harsh, judgemental inner voice that many of us are uncomfortably familiar with. It tends to criticise, shame and belittle us – nothing we do seems good enough. Recognising and developing a measure of disengagement from this voice can often encourage movement. Where appropriate I make use of the Enneagram system of personality types, which I have studied formally and informally for many years. My counselling training is in the Gestalt tradition at The Gestalt Centre in London, and you can read their description of the Gestalt approach here. I have also studied Cognitive Behavioural Therapy (CBT) and although I am not a CBT therapist I am able to make use of this approach for specific difficulties. I have a Post-Graduate Diploma in Supervision. Currently I see private supervisee clients. Previously I have run supervision groups at West Kent Mind, and during my training provided supervision for an NHS-funded Psychological Therapy Service. Please contact me for further details about my supervision practice. 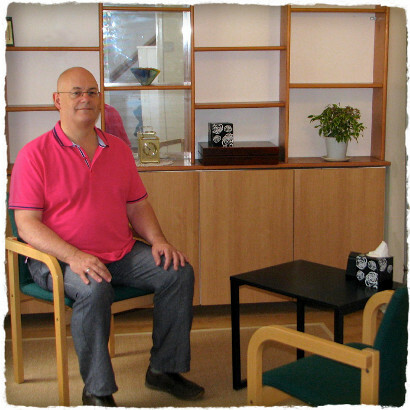 I run my counselling practice from this ground floor consulting room in Leigh, near to Tonbridge and Sevenoaks in Kent. I also offer sessions via Skype or telephone. Sessions are of 60 minutes, with opportunities for review at any time. 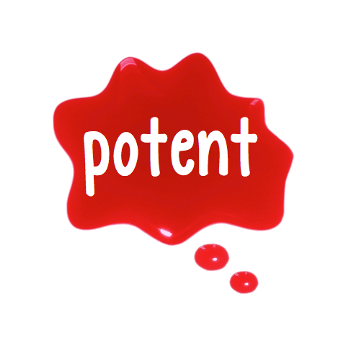 For many people 6 – 12 sessions works well. Others stay in counselling for longer, occasionally up to a year or more. The session fee for new clients is £45 and this can be paid by cash, cheque; or from my online payment page by bank transfer, credit/debit card or PayPal. I also maintain a limited number of reduced cost places, please ask about this if you are not able to afford the regular fee. I ask that sessions cancelled with less than a day’s notice are paid for, however I do allow for one unavoidable cancellation every six months without payment. Here you can download an information and agreement sheet for new clients, and my current practice leaflet – both are PDF files. In addition to my private practice I am the Lead Counsellor at West Kent Mind, and also work for an Employee Assistance Programme (EAP). In the recent past I have worked as Lead Counsellor in an NHS-funded psychological therapy service for West Kent. You can contact me by email or by leaving a message on 07452 923412. I will return your call, so please leave a number and the times that you are happy for me to call you back. Please note that occasionally I have been left a message where the sound quality is so poor I have not been able to decipher the number. I respond to all incoming contacts and if you do not hear back from me this is because I could not recover your contact details, so please try again. This privacy notice explains how I process data in compliance with the General Data Protection Regulation (GDPR) of 2018. I am a Data Controller registered with the Information Commissioners Office under reference ZA307022. I am committed to protecting your personal data and collecting only the data that is needed, processing it in a fair, transparent and lawful manner, keeping it no longer than necessary and thereafter securely destroying it. I have implemented appropriate physical, technical and procedural measures to protect your personal data from improper access, use, alteration, destruction and loss. The lawful basis under which I process personal data is called ‘contract’. You are entering into an agreement with me for the supply of a service – counselling – and I am processing your data in order to either provide that service or to respond to your request to determine if the service is appropriate. Some of the information you may disclose to me is considered ‘special category’ data. This is sensitive information that might include data about, for example, your health, mental health, sexual orientation, religious and political beliefs and so on. I take extra care with this kind of information. The lawful basis under which I process special category data is that I am providing a health and/or social care service. I will never sell or share your personal data with other organisations for marketing purposes. I do not use any form of automated profiling or decision-making. In addition to contact details, I keep factual notes about our sessions which may include sensitive information that you have disclosed to me. I may also keep a record of creative work, drawings or diagrams that we have used in our work together. All session notes for private clients are stored on a secure cloud-based system called BacPac. Session notes for clients of an Employee Assistance Programme (EAP) are stored exclusively on their own system. I do not keep session notes on paper. Other material from sessions is stored in a way which is not personally identifiable. I keep contact details only on a mobile phone. Information stored electronically is not shared with anyone. I have regular supervision with supervisors, and these are the only people with whom I talk about my work. Supervisors are bound by the same terms of confidentiality as I am. Clients are identified by first name only. In the event of my becoming incapacitated in some way, a supervisor is able to access only the contact details of my clients. I keep personal data for up to 5 years as I believe the information could be useful and relevant for a client returning to counselling. However as time passes the data becomes less relevant. I have chosen 5 years as a reasonable balance between retaining potentially useful data and keeping data no longer than neccessary. request access to a copy of the personal data I hold about you. ask me to change or complete any inaccurate or incomplete personal data held about you. ask me to delete your personal data where it is no longer necessary for me to use it. ask me to provide you or a third party with some of the personal data that I hold about you in a commonly used form, so it can be easily transferred. ask me to restrict the personal data I use about you where you have asked for it to be erased or where you have objected to my use of it.